Jurors saw images of wide-eyed little monkeys inside crates as an importer of research animals went on trial on cruelty charges on Monday after 15 primates died during a series of international flights. Robert Matson Conyers, a Florida animal broker, faces 10 counts involving the 2008 trip. Conyers was shipping 25 monkeys to a buyer in Bangkok, Thailand, authorities said, but the shipment was refused transit in China and returned to Los Angeles. “These are sad pictures, and it is a tough case,” said Conyers' lawyer, John Murray, in his opening statement to the jury. But he said he was confident jurors would find that Conyers was not responsible for the debacle. Deputy City Attorney Don Cocek told jurors that Conyers was the man in charge of the shipment. The prosecutor described a disastrous odyssey around the world as the monkeys were refused transit at several points. Both lawyers described a scenario in which everything that could go wrong did. The monkeys wound up on a circuitous seven-day trip across thousands of miles with stops in Miami and China, and twice in Los Angeles. They suffered from neglect, starvation and hypothermia in transit, authorities say, and 15 eventually died. Cocek said problems began when the group of 14 marmosets, five white-fronted capuchins and six squirrel monkeys arrived in Miami on Feb. 4, 2008, from Guyana, where Conyers had arranged for their transport to a buyer in Thailand. The animals were to be flown to Frankfurt, Germany, and then to their final destination, he said. But Lufthansa Airlines, citing cold weather in Europe, refused to transport them. Cocek said Conyers took the primates to a cargo area of Miami International Airport, where they remained for four days while he searched for an alternate carrier. On Feb. 8, he said, China South Airlines agreed to transport the monkeys on a 12- to 14-hour flight from Los Angeles to Thailand via China. But when they arrived in China, they were turned back over paperwork issues, such as irregularities in the shipping documents. The crates of monkeys sat on a tarmac in China for 39 hours in 40-degree Fahrenheit (5-degree Celsius) weather and then were sent back to Los Angeles on another 12- to 14-hour flight, Murray said. Murray blamed the problems on the bureaucracy of international shipping documents and said Conyers made sure the primates were fed and cared for while they were in Miami. At the end of their final trip to Los Angeles on Feb. 11, 2008, officials found 14 of the 25 monkeys packed into crates were dead. Another had to be destroyed. Los Angeles Zoo veterinarians administered emergency care to the surviving six marmosets, a capuchin and three squirrel monkeys. 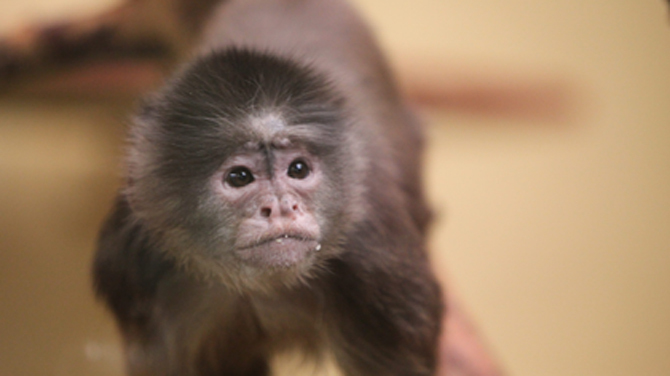 The surviving capuchin had to be euthanized. The rest are recovering at the San Diego Zoo's Wild Animal Park. The advocacy group Stop Animal Cruelty Now (SAEN) said the monkeys were dehydrated and resorted to cannibalism during their arduous trip. Five members of SAEN were in the courtroom for the trial's opening day, wearing T-shirts that said, “No excuse for animal abuse.” Superior Court Judge Alan Schneider instructed them not to wear clothing with messages again. The trial's first witness was Elvin Mong, a special agent with the US Fish and Wildlife Service who inspected the four crates of monkeys when they were in Miami and stuck a camera into the crates to take pictures of the primates. Although he did not open the crates, he saw that one of the monkeys was dead and began trying to have it removed. But he said by the time Conyers arrived, the crates had already been loaded into an American Airlines flight to Los Angeles. Jurors were shown a picture of the dead Tamarind monkey, which appeared partially decomposed. SAEN said the United States is the largest importer of monkeys coming from the Philippines, Indonesia, Guyana and Kenya. Most are destined for laboratory experiments. Conyers could face up to six months in jail and a US $20,000 fine if he's convicted. The trial is expected to last three weeks.